This is genus for apparently less than 10 species, mostly host alternating from Lonicera to grasses. On Lonicera, the species I have collected cause a strong leaf curling and discoloration. 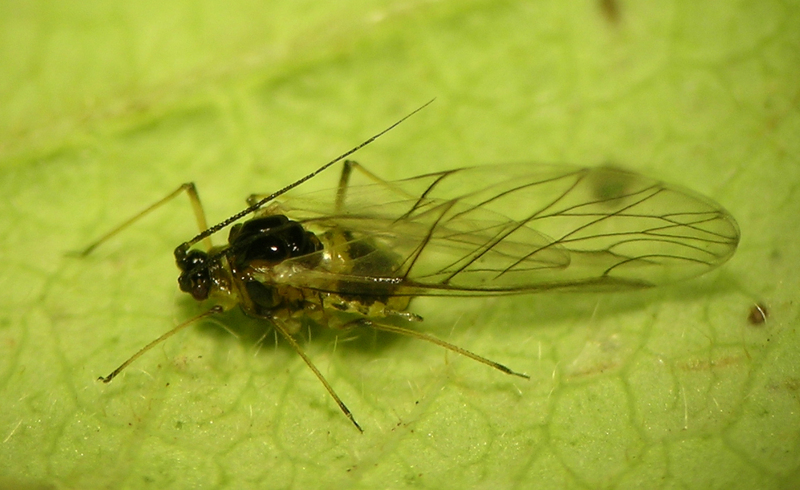 Because of this obvious evidence of their presence, most of my samples are of Rhopalymyzus are from Lonicera. This species I have found several times on Lonicera involucrata across the west, in Washington, Oregon, Idaho, and Colorado. I have not yet collected it on a grass. Like many common species, I often observe its spring generations on its primary host and do not collect it. 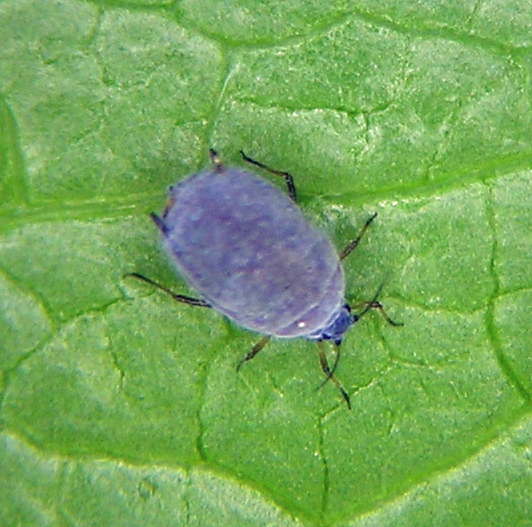 The longitudinal rolling and discoloration of leaves is distinctive. Rhopalomyzus grabhami from Lonicera involucrata in the Blue Mountains of Oregon in May. This is the fundatrix. 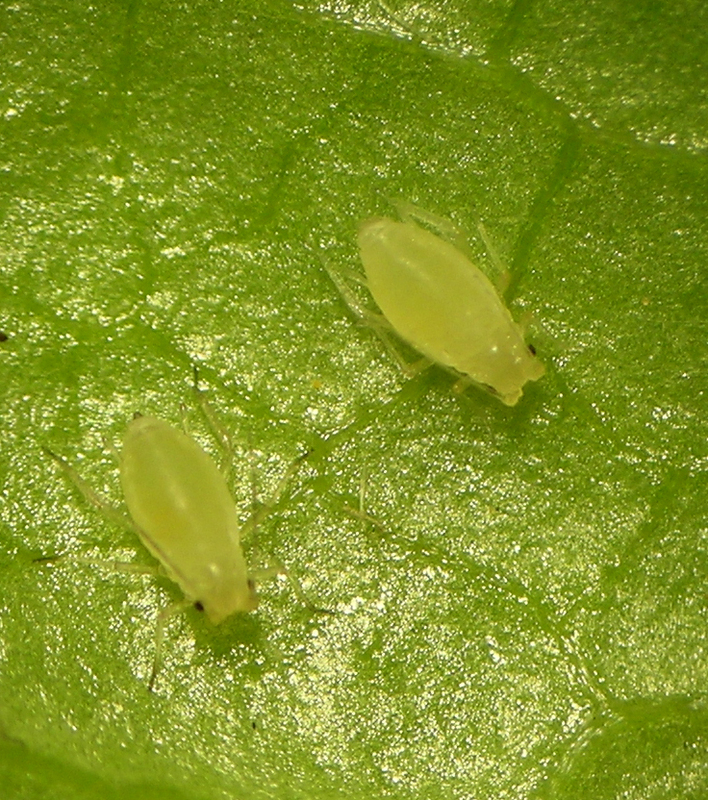 Here is one of the most common and wide-spread aphids I see. In spring and fall, it is very common settling on all sorts of Caprifoliaceae as both males and alate viviparae. It fails to develop on most of these plants, and in the spring it is mostly found on ornamental species and cultivars of Lonicera (honeysuckle). During summer it develops to stunning densities on Phalaris arundinacea along waterways. 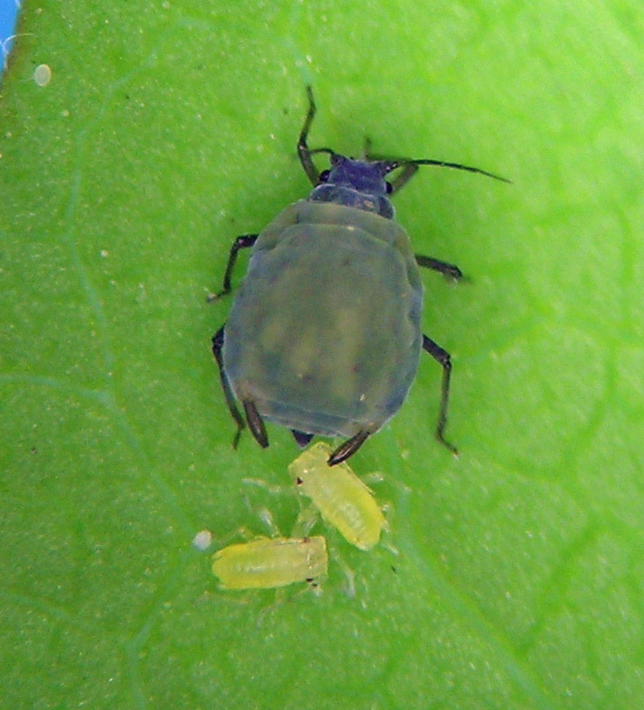 Rhopalomyzus lonicerae fundatrix and nymphs on an ornamental Lonicera in Pullman, Washington. Rhopalomyzus lonicerae alate vivipara on an ornamental Lonicera in Pullman, Washington. Rhopalomyzus lonicerae oviparae on an ornamental Lonicera in central Washington. 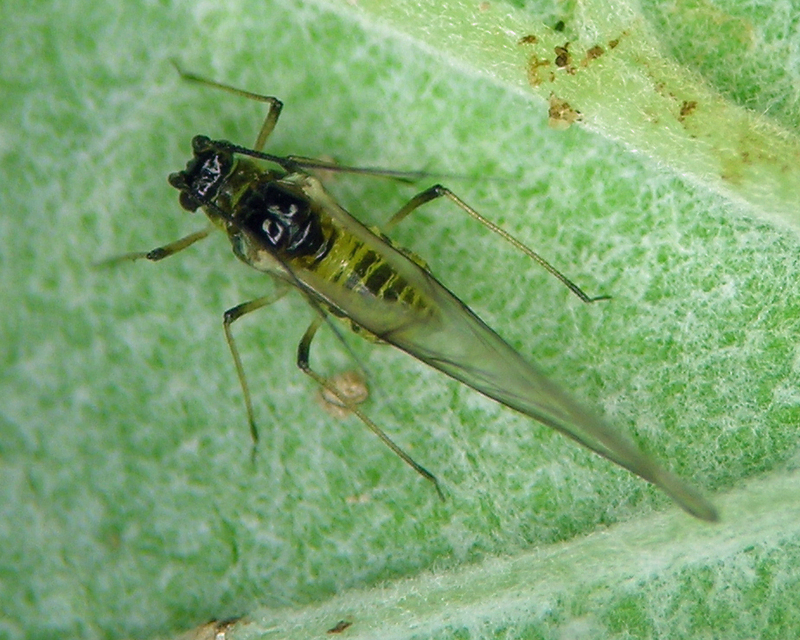 Rhopalomyzus lonicerae male on an ornamental Lonicera in southern Idaho.